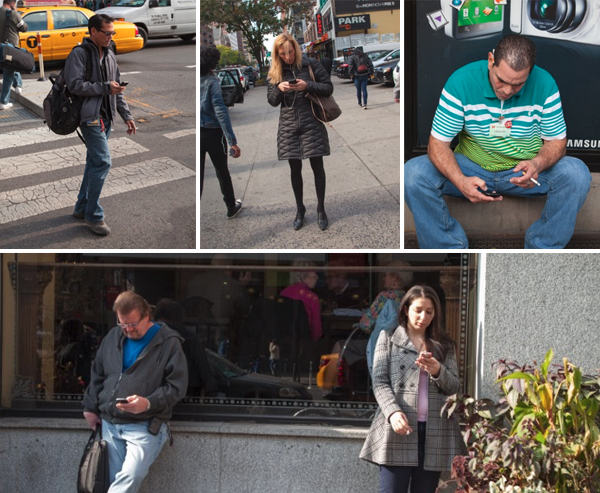 Are you addicted to Facebook,Twitter, and Other Social Media? Get Your Life Back! Veteran Life Mentor Reveals Her 100% Tested, Surefire System for Overcoming Social Media Addiction For Good. Here’s Your Golden Ticket to Saving Fading Relationships, a Thriving Career and a Happier Life Overall… Start Enjoying All Of These Things Today! Fast forward to today, where smartphones, tablets and personal computers are almost in every home and office in the modern world. It is estimated that Facebook has over one billion active users at any given day. As you read this, Over 100 hours of video is being uploaded to YouTube from all over the world. Within just 24 hours people will be tweeting a total of 400 million times to their followers and friends. And as 400 million tweets are flying across the world, computers, smartphones and tablets are humming to the tune of 700 billion minutes just displaying the contents of Facebook. People are quickly becoming addicted to social media and they don’t even know what’s happening to them. Does social media prevent you from giving your full attention to family activities, friends and even your work in the office? Do you feel irritated that you have to do things for people when you are checking out Facebook or any other social media website? Do you have a hard time focusing on what you have to do because of the frequent, uncontrollable urges to check your social networks? Has your use of social media had any negative effects on any area of your life (relationships, family or work)? Has anyone told you that your behavior is not normal and you may have a problem? Have you tried controlling or stopping your use of social media, only to feel horrible that you did? Have you tried cutting your social media habit short only to return to your old ways after a short while? IMPORTANT: If you answered “yes” to any of these questions then you are probably suffering from Social Media Addiction. Choosing online interactions (e.g. Facebook chat) over real life conversations and interactions like going out with friends. Whole families will begin to drift apart because of lack of real communication. Couples will begin to experience relationship issues because of lack of communication as well. Being engrossed in social media while eating out or just being with someone is a hallmark sign of social media addiction and should not be ignored. Social Media Addiction can also lead to inappropriate behavior like “sexting” and posting sexually-explicit materials online. These types of behavior can lead to the destruction of a person’s online persona and his real-world reputation. A person can become an obsessed fanatic of social media, shunning all advice and good sense in favor of his addiction. Work and productivity will take a massive hit because of the sudden decline in focus and desire to finish delegated tasks at work. Frequent and uncontrollable checking of social media networks. “Substitution” or the act of ‘experiencing’ life by uploading pictures, tweeting and posting statuses online while neglecting people around you. Social media becomes the center of your life. It’s the first thing you see at night and the first thing you look at before doing anything else. Creating more time for social media by neglecting responsibilities and commitments to other people. Social media addiction may be rooted in digital abuse… But there is a real-world solution! 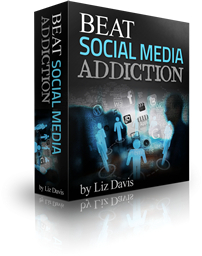 Click Here to Download Beat Social Media Addiction Instantly & Securely! Grab the Best and Only System Designed to Crush Social Media Addiction’s Tentacles... Download Instantly, Securely & 100% Risk-Free! ClickBank is the retailer of products on this site. CLICKBANK® is a registered trademark of Click Sales, Inc., a Delaware corporation located at 917 S. Lusk Street, Suite 200, Boise Idaho, 83706, USA and used by permission. ClickBank's role as retailer does not constitute an endorsement, approval or review of these products or any claim, statement or opinion used in promotion of these products. The name Liz Davis is a pseudonym used by the author. This site and the products and services offered on this site are not associated, affiliated, endorsed, or sponsored by Facebook, Twitter or Instagram, nor have they been reviewed tested or certified by Facebook, Twitter or Instagram.